Hyperstagflation* (*barbarisme volontaire de mon cru en 1998, repris un peu partout depuis). le site n'existe plus, le FAI ayant fermé les hébergements perso). Pour moi, le grand jeu des devises tel qu'il nous est commenté par la "grande(?) presse", et les médias en général, (*sans oublier les profs d'économie formés à l'école du "Trilatéraliste Bilderbergien Raymond Barre" ( *cf la NDLR plus bas). est l'expression manifeste de la volonté délibérée des imprimeurs frénétiques et leur complices, plus connus ici sous le nom de Caballas, de tromper le plus de monde possible sur la notion de "VRAIE MONNAIE". ils peuvent écarter ou resserer les membres, fermer ou ouvrir le zip de leur combinaison....pour modifier leur résistance aérodynamique...et donc, leur place instantanée. Le plus gros et le plus observé des parachutistes a une combinaison verte....c'est par rapport à lui surtout, que sont étalonnées les performances des concurrents...ET NON PAR RAPPORT AU SEUL OUTIL DE MESURE FIABLE: L'ALTIMETRE....couplé éventuellement à un chronomètre...comptant à rebours l'instant de l'impact. mais en réalité...tous chutent....et vite....même si, tant que le sol n'est pas touché, la dithyrambe journalistique évoque le célèbre: " Jusqu'ici tout va bien...!!!" du film "La Haine". La proclammation réitérée de cette pseudo hausse du bleu se fait bien entendu sans référence à l'heure prévue pour l'atterrisage qui offre toutes les garanties d'être (très) brutal....et fatal à TOUS les parachutistes...car à 240 Kms/h ou à 280... ça fera un drôle de bruit...genre: ZZziiiiiiiiiiiiiiiiiiiii...Shplaff...! NDLR *:Raymond Barre, professeur d'économie très libéral, se prétendant capable de considérations sociales, fut érigé (puis proclammé) Expert incontournable...vous vous souvenez certainement de ses célèbres: "Il faut mettre un frein à l'immobilisme", ou encore: "la reprise est au bout du tunnel", et, bien entendu de sa plus célèbre maxime: " les chômeurs, plutôt que de se plaindre, feraient mieux de créer des entreprises). Premier ministre de Giscard...dans les années 75. Il coutâ la poduk au Trésor Français...moins toutefois que Giscard qui, lui, détient avec son célèbrissime Emprunt éponyme indexé sur l'OR, le record absolu de gabegie avec plus de 90 milliards de francs (13,7 milliards d’euros) pour un emprunt initial de seulement 7,5 milliards de francs. Giscard avait voulu imiter l'oeuvre maitresse d'Antoine Pinay L’emprunt Pinay était indexé sur l’or, exonéré de l'impôt sur le revenu et le capital était affranchi de tous droits de succession...au grand bonheur de ses porteurs on le nomma même "la rente Pinay". Les prix s’envolent à la suite des deux chocs pétroliers de 1973 et 1979, dépassant la barre de 10 % d’évolution annuelle. L’or gagne à nouveau du terrain et le cours s’envole : la performance annuelle atteint + 51 % en 1974 et + 86 % en 1979. D’autres emprunts d’État sont mis en place pour se prémunir de l’inflation (emprunt Giscard d’Estaing 1973 indexé sur l’or, emprunt Barre 1977 indexé sur l’écu). Ils tirent profit des bonnes performances de l’or. Under Tito Yugoslavia ran a budget deficit that was financed by printing money. This led to rate of inflation of 15 to 25 percent inflation per year. After Tito the Communist Party pursued progressively more irrational economic policies. These irrational policies and the breakup of Yugoslavia (Yugoslavia now consists of only Serbia and Montenegro) led to heavier reliance upon printing or otherwise creating money to finance the operation of the government and the socialist economy. This created the hyperinflation. By the early 1990s the government used up all of its own hard currency reserves and proceded to loot the hard currency savings of private citizens. It did this by imposing more and more difficult restrictions on private citizens access to their hard currency savings in government banks. 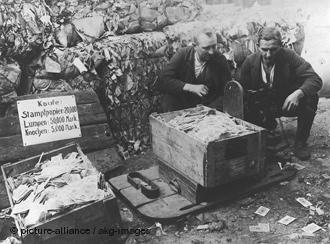 The government operated a network of stores at which goods were supposed to be available at artificially low prices. In practice these store seldom had anything to sell and goods were only available at free markets where the prices were far above the official prices that goods were supposed to sell at in government stores. All of the government gasoline stations eventually were closed and gasoline was available only from roadside dealers whose operation consisted of a car parked with a plastic can of gasoline sitting on the hood. The market price was the equivalent of $8 per gallon. Most car owners gave up driving and relied upon public transportation. But the Belgrade transit authority (GSP) did not have the funds necessary for keeping its fleet of 1200 buses operating. Instead it ran fewer than 500 buses. These buses were overcrowded and the ticket collectors could not get aboard to collect fares. Thus GSP could not collect fares even though it was desperately short of funds. Delivery trucks, ambulances, fire trucks and garbage trucks were also short of fuel. The government announced that gasoline would not be sold to farmers for fall harvests and planting. Despite the government desperate printing of money it still did not have the funds to keep the infrastructure in operation. Pot holes developed in the streets, elevators stopped functioning, and construction projects were closed down. The unemployment rate exceeded 30 percent. The government tried to counter the inflation by imposing price controls. But when inflation continued the government price controls made the price producers were getting ridiculous low they stopped producing. In October of 1993 the bakers stopped making bread and Belgrade was without bread for a week. The slaughter houses refused to sell meat to the state stores and this meant meat became unvailable for many sectors of the population. Other stores closed down for inventory rather than sell their goods at the government mandated prices. When farmers refused to sell to the government at the artificially low prices the government dictated, government irrationally used hard currency to buy food from foreign sources rather than remove the price controls. The Ministry of Agriculture also risked creating a famine by selling farmers only 30 percent of the fuel they needed for planting and harvesting. Later the government tried to curb inflation by requiring stores to file paper work every time they raised a price. This meant that many of the stores employees had to devote their time to filling out these government forms. Instead of curbing inflation this policy actually increased inflation because the stores tended increase prices by a bigger jump so that they would not have file forms for another price increase so soon. In October of 1993 the created a new currency unit. One new dinar was worth one million of the old dinars. 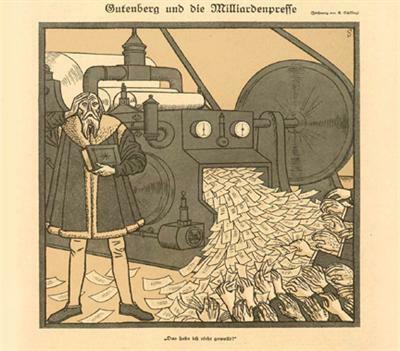 In effect, the government simply removed six zeroes from the paper money. This of course did not stop the inflation and between October 1, 1993 and January 24, 1995 prices increased by 5 quadrillion percent. This number is a 5 with 15 zeroes after it. In November of 1993 the government postponed turning on the heat in the state apartment buildings in which most of the population lived. The residents reacted to this withholding of heat by using electrical space heaters which were inefficient and overloaded the electrical system. The government power company then had to order blackouts to conserve electricity. The social structure began to collapse. Thieves robbed hospitals and clinics of scarce pharmaceuticals and then sold them in front of the same places they robbed. The railway workers went on strike and closed down Yugoslavia's rail system. In a large psychiatric hospital 87 patients died in November of 1994. The hospital had no heat, there was no food or medicine and the patients were wandering around naked. The government set the level of pensions. The pensions were to be paid at the post office but the government did not give the post offices enough funds to pay these pensions. The pensioners lined up in long lines outside the post office. When the post office ran out of state funds to pay the pensions the employees would pay the next pensioner in line whatever money they received when someone came in to mail a letter or package. With inflation being what it was the value of the pension would decrease drastically if the pensioners went home and came back the next day. So they waited in line knowing that the value of their pension payment was decreasing with each minute they had to wait in line. Many Yugoslavian businesses refused to take the Yugoslavian currency at all and the German Deutsche Mark effectively became the currency of Yugoslavia. But government organizations, government employees and pensioners still got paid in Yugoslavian dinars so there was still an active exchange in dinars. On November 12, 1993 the exchange rate was 1 DM = 1 million new dinars. By November 23 the exchange rate was 1 DM = 6.5 million new dinars and at the end of November it was 1 DM = 37 million new dinars. At the beginning of December the bus workers went on strike because their pay for two weeks was equivalent to only 4 DM when it cost a family of four 230 DM per month to live. By December 11th the exchange rate was 1 DM = 800 million and on December 15th it was 1 DM = 3.7 billion new dinars. The average daily rate of inflation was nearly 100 percent. When farmers selling in the free markets refused to sell food for Yugoslavian dinars the government closed down the free markets. On December 29 the exchange rate was 1 DM = 950 billion new dinars. About this time there occurred a tragic incident. As usual pensioners were waiting in line. Someone passed by their line carrying bags of groceries from the free market. Two pensioners got so upset at their situation and the sight of someone else with groceries that they had heart attacks and died right there. At the end of December the exchange rate was 1 DM = 3 trillion dinars and on January 4, 1994 it was 1 DM = 6 trillion dinars. On January 6th the government declared that the German Deutsche was an official currency of Yugoslavia. About this time the government announced a new new Dinar which was equal to 1 billion of the old new dinars. This meant that the exchange rate was 1 DM = 6,000 new new Dinars. By January 11 the exchange rate had reached a level of 1 DM = 80,000 new new Dinars. On January 13th the rate was 1 DM = 700,000 new new Dinars and six days later it was 1 DM = 10 million new new Dinars. The telephone bills for the government operated phone system were collected by the postmen. People postponed paying these bills as much as possible and inflation reduced there real value to next to nothing. One postman found that after trying to collect on 780 phone bills he got nothing so the next day he stayed home and paid all of the phone bills himself for the equivalent of a few American pennies. Here is another illustration of the irrationality of the government's policies. James Lyon, a journalist, made twenty hours of international telephone calls from Belgrade in December of 1993. The bill for these calls was 1000 new new dinars and it arrived on January 11th. At the exchange rate for January 11th of 1 DM = 150,000 dinars it would have cost less than one German pfennig to pay the bill. But the bill was not due until January 17th and by that time the exchange rate reached 1 DM = 30 million dinars. Yet the free market value of those twenty hours of international telephone calls was about $5,000. So the government despite being strapped for hard currency gave James Lyon $5,000 worth of phone calls essentially for nothing. It was against the law to refuse to accept personal checks. Some people wrote personal checks knowing that in the few days it took for the checks to clear inflation would wipe out as much as 90 percent of the cost of covering those checks. On January 24, 1994 the government introduced the super Dinar equal to 10 million of the new new Dinars. The Yugoslav government's official position was that the hyperinflation occurred "because of the unjustly implemented sanctions against the Serbian people and state." Source: James Lyon, "Yugoslavia's Hyperinflation, 1993-1994: A Social History," East European Politics and Societies vol. 10, no. 2 (Spring 1996), pp. 293-327.
et ça n'est pas n'importe qui qui le dit .. voyez son cv ..
Treasury Under Secretary Adams worries about "which developing country is ready to go bust, what hedge fund is heading toward a meltdown, which currency is teetering on the edge of collapse, what protectionist legislation Congress is yearning to pass." My leading candidate for the currency teetering on the edge of collapse: the dollar. Obviously, the markets disagree. But a rally in the currency of a country with a 7% of GDP current account deficit (and in all probability a growing income deficit) looks like a recipe for future trouble. I am what Stephen Jen would call a structural dollar pessimist. 7% of GDP trade and transfer deficits and a 10% of GDP export base is not a good long-term combination for the dollar, particularly if net interest payments on the US external debt are set to rise significantly. Deficits did not matter to the market in 2005, but they may start to matter in 2006. Even Stephen Jen is tempering his dollar bullishness a bit. Here is the opening paragraph from John Williams' Shadow Government Statistics review of the 2005 Treasury GAAP accounting report. Net of all accounting gimmicks, the actual federal budget deficit is running at an unsustainable, system-dooming pace of $3.5 trillion per year, roughly 11 times the size of the $318.5 billion accounting-gimmicked official deficit for 2005. The U.S. Government's negative net worth widened to $49.4 trillion in 2005, with total government liabilities topping $50 trillion for the first time. The 2005 Financial Report of the United States Government, published December 15th by the U.S. Treasury, reported a $760.0 billion net deficit in U.S. government operations for fiscal 2005 (year-ended September 30), based on generally accepted accounting principles (GAAP) as usually applied in the business world, but excluding ongoing liabilities to Social Security, Medicare and similar programs. The $760.0 billion was up 23.2% from 2004's $615.6 billion GAAP-based deficit, while the official, accounting-gimmicked 2005 deficit of $318.5 declined by 22.8% from $412.3 billion in 2004. Including Social Security, Medicare and similar liabilities, the total GAAP-based 2005 deficit was $3.5 trillion, down from 2004's $11.1 trillion, which was spiked by a one-time setup charge for recent Medicare enhancements. Net of the one-time charge, which we have re-estimated based on the 2005 data (the government has not published an estimate), the GAAP-based deficit in 2004 was about $3.4 trillion. The regular, annual $3.5 trillion shortfall in government operations cannot be covered by Uncle Sam; the situation has deteriorated beyond any hope of a solution within the existing system. Raise taxes? Even a 100% personal income tax would leave a deficit. Cut spending? Spending cuts that would bring government fiscal conditions into some semblance of order would be so draconian as to be beyond any political possibility in today's environment. What remains inevitable -- only a matter of time -- is a national bankruptcy. 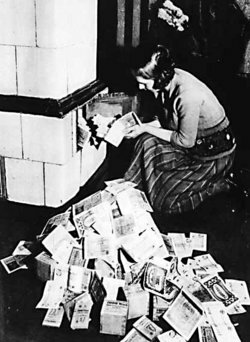 Such circumstances in the past -- though no nation on earth has ever come close to experiencing the level of fiscal and financial fraud now being perpetrated on the American people -- typically have been "cured" by revving up the printing presses and creating excessive quantities of money. 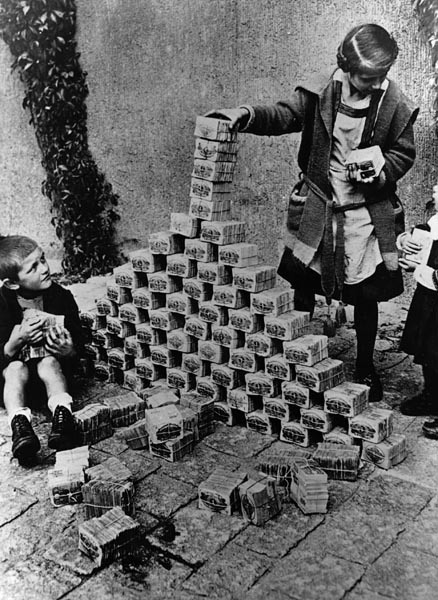 The end result is a monetary collapse in a hyperinflation, with the currency becoming worthless. Gold 10,460, ou Gold $8,100? Gold 10,460, or Gold $8,100? Congratulations on a great interview with ROB TV. You presented yourself and GATA’s findings impeccably. I wanted to give you the following ammunition for those who scoff at your $3000 / ounce Gold prediction. 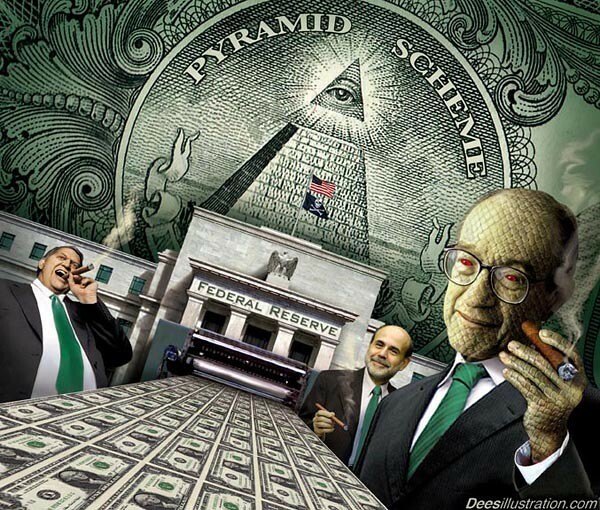 The foundation of the Federal Reserve’s money supply is the Federal Debt. This debt is considered an asset, and the rest of the money supply is pyramided on top of it. On January 31, 1934, FDR proclaimed the Gold price to be $35 / ounce. The Federal debt was $27.1 Billion. On January 21, 1980, the London fix price for Gold was $850 / ounce. The federal debt was $845.1 Billion. Notice how close the Gold price is $1 value per $1 Billion debt. Today, the Federal Debt is $8,099 Billion. This means based on the 1934 ratio, Gold could peak at $. Given these numbers, $3000 / ounce Gold is quite conservative. 1 obligue US achète combien de Mat 1eres?Weimar sur Hudson. 1 obligue US achète combien de Mat 1eres ? Weimar sur Hudson...! toute autre considération est secondaire. Et regardez ce qu'il nous fait le Bond vert...il pète son support de 8 ans...Weimar sur Hudson...! un actif perd son pouvoir d'achat. La photocopie verte est une imposture...!!! Quoi? Canton part ledul Houx? Kant on part le dul où? Vous imaginez ça? Vous vivez dans un pays dont la monnaie est "forte"; super, non? Et en plus, elle se renforce, battant ce que la presse n'arrête pas d'appeler des "records"...ça fait quel effet d'être riche? pourtant, dans la vraie vie, que constatez-vous? Tout augmente.....(en fait, ce n'est pas ''faux'', mais il serait plus juste de dire que le pouvoir d'achat de la monnaie chute). Ah bon? Tout augmente? La nourriture, oui, les assurances, oui, l'énergie (chauffage, cuisson, carburant) oui aussi, et comment...! Votre retraite ou celle de vos parents? Le rendement de votre épargne? Les médias sont étonnament ambigus, discret, élusifs...quand il s'agit d'avouer que la fraude la plus révoltante (paradoxalement la plus admise) et la plus généralisée, c'est bien le fait d'être payé de son travail en monnaie fiduciaire photocopies biodégradables dont la valeur , (pour autant qu'on puisse en reconnaître une à ce qui n'est après tout qu'une reconnaissance sur une dette irrécouvrable) est par nature vouée à se déteriorer...et surtout, surtout...de ne pas avoir le choix. Encore que...le choix, vous l'avez au moins partiellement, puisqu'il suffit de distraire une partie de vos avoirs, ou au moins, de vos revenus, de cette fraude; de la soustraire à la logique implacable de l'anéantissement programmé. Alors, libre à vous de faire abstraction de nos mises en garde réitérées, mais ne venez pas pleurer après, en tout cas, nous, on vous aura prévenus. L'argent métal, l'Or, le pétrole et le gaz sont les quatre piliers de votre toiture anti crise. .. Et même si, optimistes invétérés, formatés et manipulés, vous n'accordez à notre postulat que 10 % de crédibilité...et bien arbitrez déjà 10% de votre patrimoine pour argent et or...où est le risque? A contrario, ça peut suffire à vous sauver les miches. "Abonne en tendeur" Quoi? qu'est ce qu'il dit Sandro? A Beaune en tant d'heures? Here is a real-time example of how a fiat currency implodes due to letting the printing presses run 24/7. Zimbabwe inflation has now exceeded 66,000% per year. It now holds the dubious honor of having the highest inflation of any country in the world. Voltaire has been proved correct again - "Paper money eventually returns to its intrinsic value ---- zero." Le taux officiel d'inflation annuelle au Zimbabwe a dépassé les 100.000% en janvier, un nouveau record mondial, selon des statistiques de l'Office central des statistiques (CSO) obtenues mercredi par l'AFP. "Le taux annuel d'inflation pour le mois de janvier 2008 (...) est de 100.580,2%, en hausse de 34.367,9 points par rapport au taux de 66.212,3% de décembre", selon un communiqué du CSO transmis aux banques du pays. "Cela signifie que les prix ont augmenté de 100.580,2% entre janvier 2007 et janvier 2008 (...) et de 120,8% entre novembre et décembre 2007", explique l'Office. Ce taux signifie que les prix de détail ont été multipliés par plus de 1.000 en un an. Depuis huit ans, l'économie du Zimbabwe, autrefois grenier à grains de l'Afrique, se désagrège. Outre cette hyperinflation, le pays souffre d'un taux de chômage de près de 80% et d'un effondrement de sa production. Le gouvernement a tenté en juin dernier d'imposer un contrôle des prix qui n'a fait qu'aggraver les pénuries, la plupart des producteurs s'estimant incapables de couvrir leurs frais aux prix imposés. La Banque centrale a dû dévaluer à plusieurs reprises sa monnaie et a introduit en janvier des billets allant jusqu'à 10 millions de dollars zimbabwéens. Les Zimbabwéens survivent en faisant des courses avec des sacs de billets - souvent au marché noir -, en sautant des repas, en ne se déplaçant qu'à pied et grâce à l'aide financière de la diaspora. il est pas joli le dernier billet? 10 millions de $ , pouvoir d'achat 2 miches de pain ... et encore jusqu'au 30 juin 2008 !! vous en avez vu souvent des papiers comme ça, ? Someone should send this picture of Zimbabwe's largest current bank note Z$10 million (purchasing power = two loaves of bread, if you can find them to buy) to Ben 'Helicopter' Bernanke as a graphic example of the nastier side of rampant inflation. In Zimbabwe we know this as the reality of a bankrupt nation where a fiat currency is not simply an IOU but moreover a promise to pay 'with strings attached': the reader will see that this practically worthless piece of paper has a built in expiry date 30th June 2008. The exponential inflation rate was estimated in January 08 to be north of 100,000%; some independant analysts say nearer the 150,000% mark. We can only guess what it is now in March. Once referred to as the 'Bread basket of Africa', as it exported its plentiful grown crops to the rest of the region, it is now a classic example of the rise and fall of a nation. Sadly history often repeats itself and many people now fear we are witnessing history in the making, as a once great American empire slides into debt, stagflation, recession and depression. The Fed, caught between a rock and a hard place, has embarked on a dangerous policy of rate cuts and monetary creation which will ultimately fuel a huge inflationary cycle. The only remaining refuge for all the money sloshing around the system is in hard assets with tangible value. Hence the recent surge in commodity prices. Those of us that think the current record highs in the CRB index are a passing fad, or that a global slowdown will arrive anytime soon and quash demand, should be cautioned that excess money and credit have found their new home and a new bubble is being born NOW albeit this time in tangible goods with historic stockpile lows. While money still exists in excessive quantities the slowdown will not come. Precious metals are benefitting and will, ultimately as real money, be the true benefactors prior to the final deflationary nail in the depressionary coffin. LOL .. ya pas d'euro fort .. mais simplement un $ faible ... et ce sont des dirigeants de la BCE qui l'avouent ..
on le savait depuis longtemps .. mais cet aveu, laisse réveur ..
FRANKFURT, Germany -- Two European Central Bank Executive Board members said the euro hasn't appreciated as much against other currencies as it has against the dollar, suggesting the bank is comfortable leaving interest rates at a six-year high even as the Federal Reserve prepares to cut borrowing costs again. What some call a "strong euro" is really "a weak dollar," Juergen Stark said in a March 10 interview with Portugal's Jornal de Negocios, the text of which was released by the ECB today. "With regard to what it means for exports in the euro zone, what matters is the trade-weighted exchange rate and not its relation to one specific currency," Lorenzo Bini Smaghi said in an interview with Brazil's Valor newspaper published yesterday. international, via des prêts à court terme. des banques par les gouvernements et de nouveaux accords de Bretton Woods. tripes de s’opposer à un président stupide et fou. pour le Néron des temps modernes ». Je savais pas ça que c'était Greenspan le conseiller de BROWN!!!!! C'est quand même dingue. Ce mec mène une politique monétaire de gonflement de bulles incessantes, la dernière qui crève nous met dans une panade monstre (mais encore moins monstre que la prochaine celle des CDS), il conseille néanmoins BROWN qui, alors que son pays n'est pas en zone euro, vend ce plan à l'ensemble des pays en zone euro!! Et tout le monde applaudit des deux nageoires???? Il le font exprès ou il font semblant d'être... CONS??? Y'a quand même des choses louches dans ces affaires là moi j'dis. Histoire de jeter un peu plus le doute, je viens de tomber fortuitement sur une info datant de Janvier 2008 annonçant que Greenspan allait aussi devenir conseiller d'un... fond spéculatif (hedge fund donc!) dont le nom en plus est tout de même assez surprenant: Paulson and Co! Certes là c'est d'un John Paulson qu'il s'agit (et non du Henry ex GS et à la tête du Trésor US), mais la coincidence est tout de même surprenante. Mais ce qui est encore plus intéressant c'est que ce fond a engrangé les milliards en spéculant sur la chute du marché hypothécaire des subprimes... que Greenspan avait contribué directement à faire gonfler! oui, moi aussi, j'avais pas capté qu'il conseillait Brown ... ces 2 là reunis, c'est la cata ..
Pour l'instant, il occupe déjà des postes de conseiller chez Deutsche Bank et chez la société de gestion d'actifs Pimco. Encore un autre qui a "chié dans la colle" et qui continue pourtant à être aux manettes au plus haut niveau! Le secrétaire américain au Trésor Henry Paulson a déclaré jeudi qu'il n'était pas fier des "erreurs" ayant conduit à la plus grave crise financière depuis la Grande Dépression, mais assuré n'avoir "aucun regret" quant aux mesures prises par le gouvernement américain pour y remédier. "Nous ne sommes pas fiers de toutes les erreurs qui ont été commises par de nombreuses personnes, diverses parties, des défaillances de notre système de régulation, des échecs de la discipline des marchés qui nous ont conduits là où nous sommes", a déclaré Henry Paulson lors d'une interview sur la chaîne Fox Business Network. Mais il a assuré n'avoir "aucun regret" quant aux mesures prises par le gouvernement américain pour faire face à la crise. Et après il vont venir, la bouche en coeur, te dire que les dirigeants doivent être évalués et rémunérés sur leurs résultats ... comme le sous-smicard moyen d'ailleurs! Le culte du résultat qu'ils appellent ça! J'ten fouterais moi... Je vous dis, on doit avoir basculé dans un univers parallèle parce que si quelqu'un trouve une autre logique que le foutage de tronche, qu'il me fasse signe!